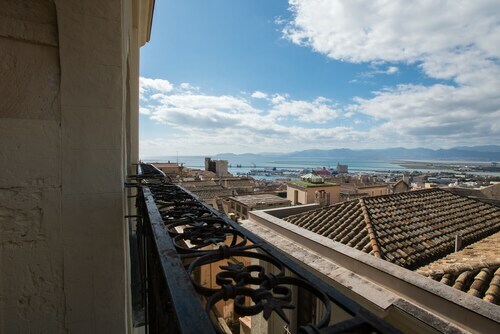 Situated in Cagliari, this hotel is within a 5-minute walk of Cagliari City Hall and Port of Cagliari. Church of Sant'Agostino and Church of Sant'Eulalia are also within 5 minutes. Cagliari Station is only a 4-minute walk. 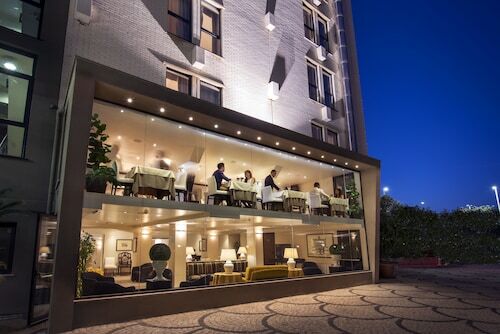 This Cagliari hotel is within one kilometer of the Museo Archeologico Nazionale and the Cagliari Roman Amphitheatre. The Cathedral of Santa Maria is 1.2 kilometers away. 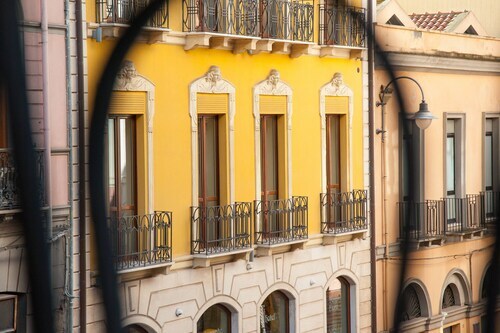 Situated in Cagliari, this hotel is within a 15-minute walk of Church of Santa Rosalia and Port of Cagliari. Poetto Beach is 3 mi (4.9 km) away. Cagliari Station is 11 minutes by foot. 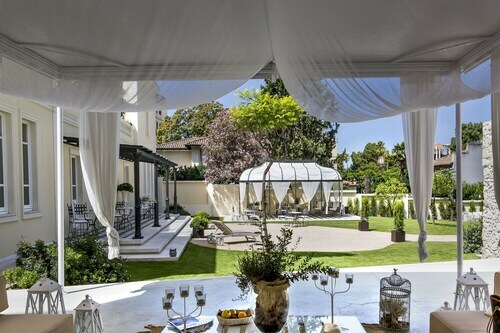 Located in the heart of Cagliari, this luxury hotel is within a 5-minute walk of Cagliari Botanical Garden and Massimo Theatre. Cagliari Roman Amphitheatre and Church of San Michele are also within 10 minutes. Cagliari Station is 12 minutes by foot. 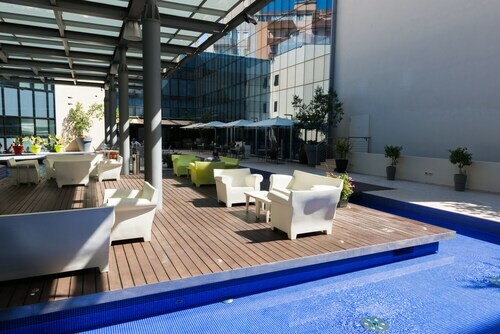 Situated in Cagliari, this hotel is within a 10-minute walk of Capitol Arte Contemporane and Port of Cagliari. Cagliari City Hall and Church of San Michele are also within 5 minutes. Cagliari Station is only a 2-minute walk. 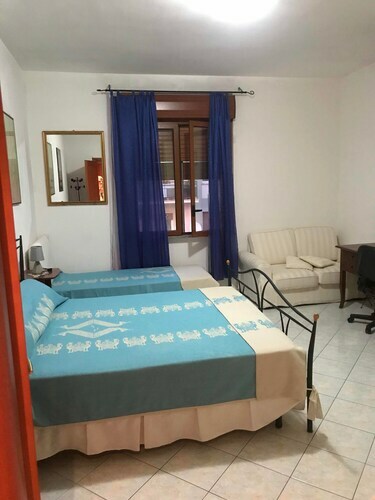 Situated in Cagliari, this apartment building is within 1 mi (2 km) of Church of Purissima and Port of Cagliari. The Royal Palace and Cagliari Cathedral are also within 5 minutes. Cagliari Station is 16 minutes by foot. 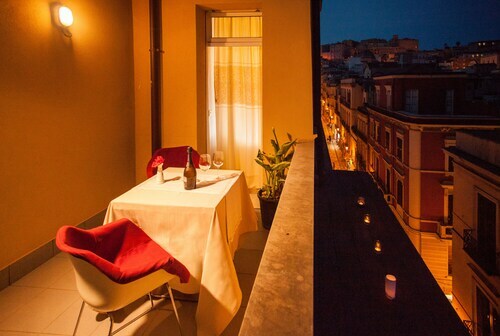 Situated in Cagliari, this guesthouse is 0.2 mi (0.3 km) from Lirico Theatre and 1.5 mi (2.5 km) from Port of Cagliari. Parco della Musica and San Benedetto Market are also within 10 minutes.